Puppets have been one of the core cultures in many nations. European puppets date back to the 1800s, growing worldwide followed by disturbing stories of mystery and horror. In the East, Japanese folklore tells of abused puppets coming to life to seek vengeance. In Indonesia, shadow puppets (wayang) are more representative of the country’s most prolific traditional art form than legend, in which the many manifestation of ideas are shared differently by the varied origins of people within this pluralistic nation. 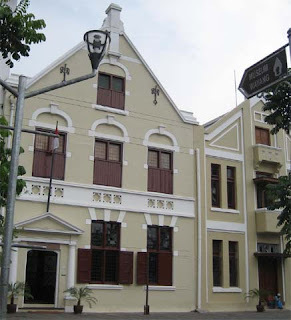 And the Wayang Museum, housed in a former a Dutch church built in 1640 in fron of Fatahillah Museum, displays an endless line of traditional puppets, the collection of which ranges from the vast shadow puppet genre, coming in distinct styles and features to modern puppets. These include the Betawi Wayang Purwa, the first version of Unyil Puppets, Golek Puppets from various regions, and gift puppets from all over the world. Arrange a visit any time besides Monday to venture into this labyrinthine structure. Just ignore the spine-tingling atmosphere while paying attention to each lively character.